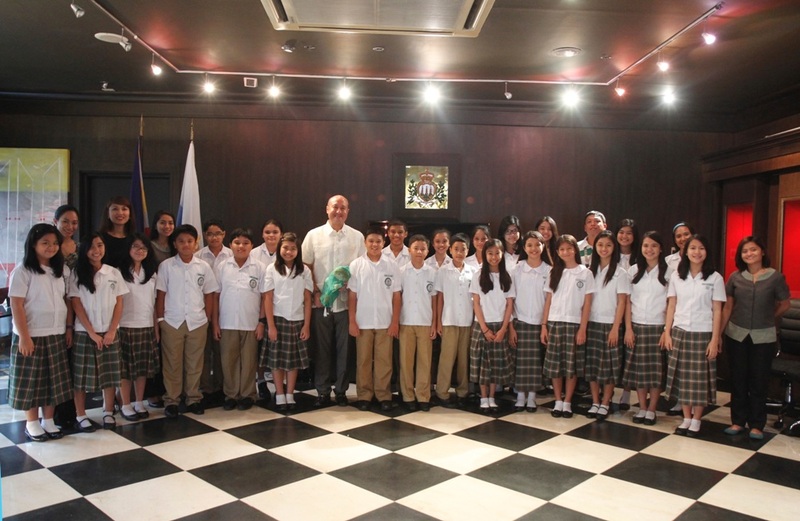 Sixth and seventh graders of the De La Salle Santiago Zobel School were exposed to San Marino’s history and heritage in a Cultural Awareness event hosted by the Office of the Honorary Consul General of the Republic of San Marino in the Philippines on July 26. Accompanied by their teachers and the school’s cultural affairs head Lynette Feliciano, the thirty inquisitive students had a glimpse of the richness of the culture of the world’s oldest republic - from its world-renowned wines to the stamps and coins that embody its olden past, to Sammarinese customs and even sports. This cultural immersion was one of the highlights of the school’s activities for this year, which explains the students’ excitement and active preparation. Capping off the event was Consul General Jean Henri Lhuillier himself sharing his views on the flourishing relationship of San Marino and the Philippines. Indeed, the event was a meaningful experience for all. For the Consul General, it was a chance to inspire; for the students, a chance to explore.